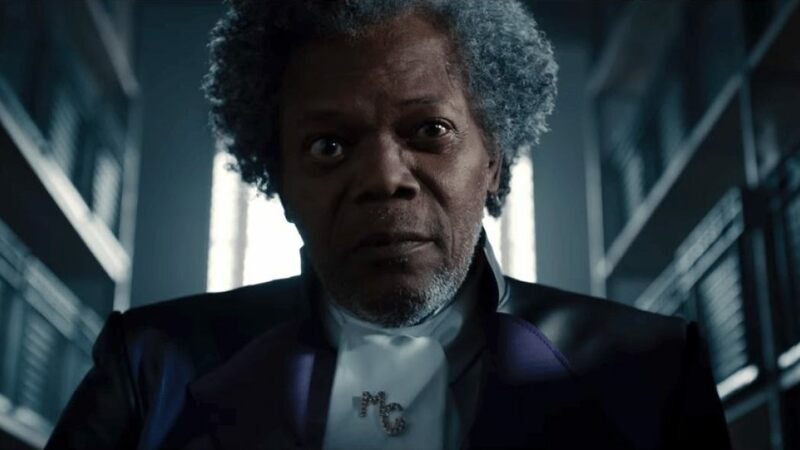 Glass (2019) is the third film in the superhero trilogy that originally started 19 years ago by M. Night Shyamalan. 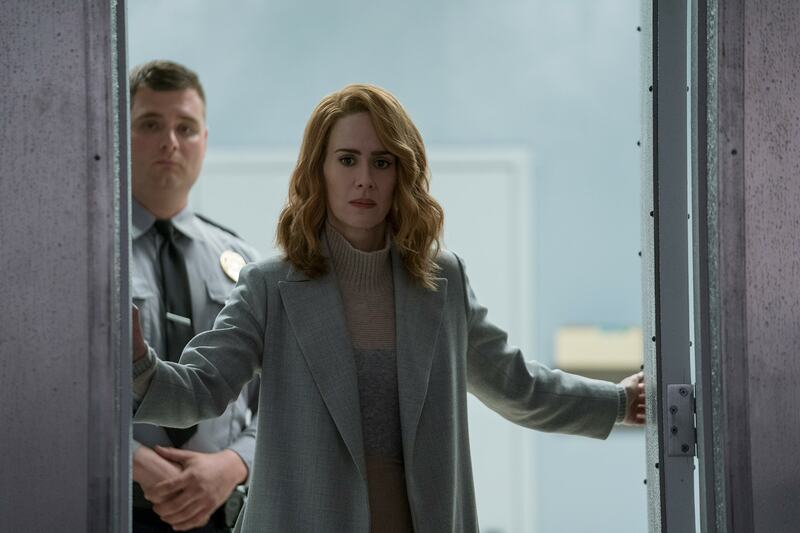 Following Unbreakable (2000) and Split (2016), this film merges the three main characters between the two films and places them in a mental hospital, where Dr. Ellie Staple (Sarah Paulson) is trying to convince these three different characters that they are merely human. When David Dunn (Bruce Willis) and Kevin Crumb (James McAvoy) enter the facility, they end up meeting Mr. Glass (Samuel L. Jackson) there and start forming plans of their own. I have been watching all of the three films within the week so I could get caught up in time for this film. What I particularly liked about these films were the fact that they were movies focused on character development and more psychological than thriller or action. This felt like a unique way to create a superhero-based movie, and whilst M. Night does his usual twists and turns in those movies, they worked particularly well in Split. I had the previous two movies, the characters and the set-up fresh in my head going into the film, and I was intrigued as to where M. Night would take these characters. This film is worth the ticket price alone just to see James McAvoy in this film. He gives a flawless performance that is so character and mind driven, and you really get to see all of the personalities that are trapped in Kevin's body. I love the characteristics of The Beast, and how his veins pop up and his movements when climbing walls or running from place to place. Everything about his character is intriguing and fitting to his mind, and McAvoy steals the show in this film. The other leads are good as well, but it is clear that they are put to the side. If you are here for a direct Unbreakable sequel, this isn't that sort of film. This truly feels like a Split sequel with the characters from Unbreakable thrown in. This is not a bad thing per say, but it feels like it is when the characters are under-used. Both Willis and Jackson do fine in this film, but in truth, they aren't given that much to do expect at the beginning and end for each respective actor. This is really McAvoy's film, and he shines. I still love the psychological aspects of the film. I did particularly enjoy the scene where they are all in the same room and Dr. Staple is talking to each of the characters. It was an opening to each of their thought process and the incidents that went on in their lives, and it was quite nuanced but also powerful. Unfortunately, when they tried to introduce the comic book features and with their side characters trying to fit them in a comic book character, I thought it felt forced and out of place. This series has been trying to break away from the usual superhero tropes, so I do not get why M. Night would force them into a character or comic book story. This movie is essentially told in three acts that almost never connect. Act one is easily the best of the lot, with the first 20 minutes giving us exactly what we wanted from a sequel to Unbreakable and Glass. Act two I also liked, as this is where the psychological section comes in and it intrigued me to find out more about these characters. Without giving away spoilers though, act three was just a hot mess. The characters did not have a good ending arc, the numerous twists they throw at us are either predictable or stupid, and the suspense I had throughout the film turned into boredom and frustration. This is a film that had me hooked from the beginning, kept me there until the last 40 minutes, then felt like it dumped me in a burning pit of fire. What this movie feels like is three different ideas for a movie, all based around one of the central characters. If they had stuck with the first act for the entire movie, it would have been stronger overall. The screenwriting feels sloppy at parts, and there were certain things that happen around the facility that I questioned the integrity of. It did not seem realistic, and whilst this is a superhero movie, this is one that is meant to be grounded on reality. We are meant to feel like we are in the real world, but we are just watching three people that happen to be superheroes. At the end, it didn't feel like that at all. This is a movie that, when it started, felt like a strong 4/4.5 star movie. The action was fantastically done, I absolutely love the character development of all three heroes and I still love the concept that M. Night came up with. Unfortunately, the ending felt like a spit in the face for anyone who has seen all three movies and will leave many people frustrated and disappointed. I would still recommend it just for McAvoy's performance as well as the first two acts, but be prepared to get frustrated at the end. Have you seen Glass yet? What did you think of it? And what is your favourite movie from the trilogy? Comment below and let's start a conversation.